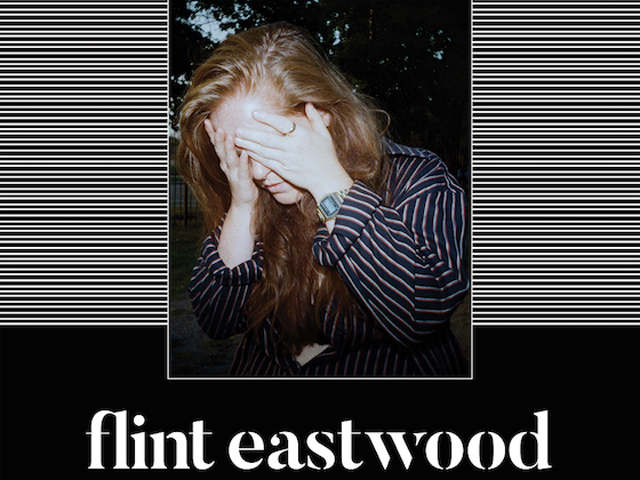 Detroit's Queen-on-the-rise Flint Eastwood is celebrating a breakout twelve months with debut headline shows in Melbourne and Sydney this Feb, joined by Macedonia born electronic, soul, R&B artist Blush'ko (fka Blasko). An open-hearted medley of future pop and indie soul, Flint (aka: Jax Anderson), will arrive on the back of her latest offering This Is A Coping Mechanism for A Broken Heart and recent hit Chapter 4 Sober (feat. Shortly) which stirred up worldwide attention and landed her at the pointy end of many 2018 year-end lists. Today Jax has shared the video for 'Hurt'. Off The Coping Mechanism EP, 'Hurt' is a break-up duet by Detroit's two most prominent emerging LGBTQ+ indie pop artists, Flint Eastwood and Siena Liggins. Directed by Jax herself, the clip features both artists, who began writing together while working on the Coping Mechanism project and closed 2018 on tour together in the US. "Hurt' was written to be a conversation between me & my ex. I wanted to explain what it's like to fight with someone you care about & take it while being in the wrong. I wanted the video to highlight both party's reactions, instead of manipulating the story to focus on one side or the other" says Jax. Joining Flint on her debut headline tour in Aus is the Melbourne-based Blush'ko (fka Blasko). Blush'ko landed on charts across the world in 2017 with his debut single 'Another Love'. Earning him support from BBC Radio 6 and catching the attention of Majestic Casual. Blush'ko has previously supported Jhene Aiko at Margaret Court Arena, SG Lewis in Melbourne and Auckland and sung alongside DC rapper Goldlink on his JJJ Like a version performance of 'Herside Story' with Billy Davis and The Good Lords. Harnessing a nascent power, the project of Flint Eastwood really started to hum on the release of single 'Queen' taken from the Broke Royalty EP. A rallying cry for the ages, it's propulsive energy and hook line of "I'm a queen, not a soldier - got something to fight for" was perfect for a world finally waking up to the power and strength of the women's movement. Springboarding from this new platform, Jax followed up with the triple j summer smash 'Real Love' which has become an emerging pride anthem and provided more evidence of Flints capacity to seamlessly meld politics, love and life into delirious vocal celebration and intricate production. The Coping Mechanism EP is evidence of this, with tracks like 'Fire' (feat. Sam Austins), and Chapter 4 Sober showcasing exactly why Australian audiences will be thrilled to get another glimpse of Flint Eastwood this summer. w special guest Blush'ko (fka Blasko).